This book is a compilation of interviews, internet blogs, informal questionnaires, hearsay, readings of magazines/books/historical material, viewing of dance, and listening music by the author mostly done over the first part of the 21st century it seems. 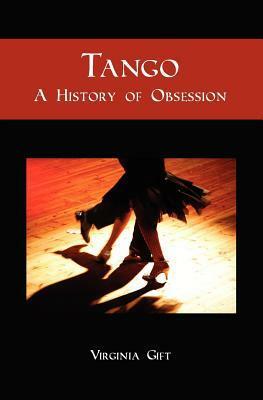 It is a work of love for tango but lacking.Chapter 1 and all of Part I of the book is a huge detraction AND unnecessary as it is a: mess of grammar and full of typos, mess of thoughts and continuity of time, and full of suppositions, generalizations, and non-fact stated as fact in bold letters (such as Lunfardo: The Language of Tango which is not true! Lunfardo is a slang/dialect that developed late 19th early 20th century in Buenos Aires and Montevideo with Spanish and Italian words in working class neighborhoods). The Chapter on Dance is chocked full of errors of technique in writing and in the explanation of technique! But, get through the Part I into Part II "History of Tango" and things start to become more interesting but the typos and grammar error never end throughout the book! The grammatical issues make even the interesting sections unreadable at times due to lack of good writing. However, there are nuggets of lovely things strewn all over like a small phrase-mention of the trumpets playing tango on the trams! Yes, the tranvias had cornetins played by the boys on board to clear the way and announce stops and starts of the trams when they were horse drawn and dropped people off by their homes and had no regular routes per se! However, Ms. Gift does not reference where this information comes from or footnote further details. Throughout the book little interesting and odd bits of information are littered around, not organized or further elaborated upon in footnotes nor in the main text, as would be expected from a person with academic training and a history teacher!What got me through this book was my interest for tango and that by happy accident I bought a second hand copy from possibly an original first reader of this self-published book who had left their comments, critiques, and proof-reading and editing marks through out the book making it comically more bearable to get through some of the hardest parts of. It would be a welcome if Ms. Gift were to put out an updated edition of this one with corrected grammar, without typos, including things that have changed in the dance scene since the 1st decade of 21st century in tango, with clear references to what is stated so that it is clear if they are based in verifiable facts of history or they are simply based on hearsay and conjectures. This would be a more powerful book. As the title states, 'A History of Obsession' and it's true to its objective. A thorough and detailed book (400+ pages) of the history of tango, it's cultural roots and it's progression through the societal and economic changes in Argentina over the past 100 years. And, then it covers Tango's emergence on the world stage (so to speak) and the international impact both outwardly as well as the impact to Tango by the influx of tango-tourists and a broader community to the dance. Lots of historical data and info on orchestras. I was surprised to find this book was a page turner for me. Might be because I’m obsessed with tango right now. Or because Gift writes like someone who is grabbing your shoulders or patting your arm because she’s so excited to tell you about what she just learned. “Oh! And you know what else? !” “What else, Virginia? Tell me!”I only give it three stars, however, because it is RIDDLED WITH TYPOS. I felt like I was reading raw manuscript. About twenty pages in, I flipped the book over with a frown to see who the publisher so I could know exactly whom I should be shaking my head in disgust at. I found nothing but a note to go to booksurge.com should I want to purchase more copies. OH. That explains it. Self-published. I suppose such authors don’t bother with a copy edit or proofread because they either don’t think it’s important or do, but don’t have the money. For the love of god and tango, Virginia, please consider putting out the dough for an edit before another copy goes to the printer.